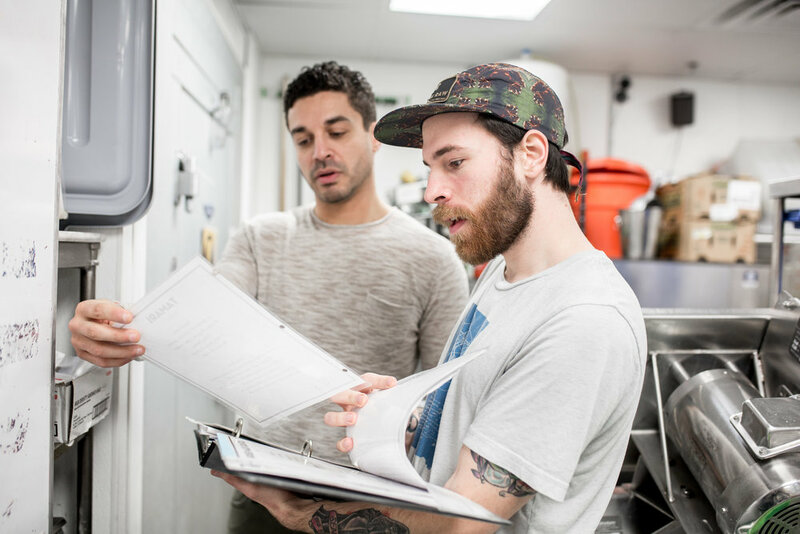 90-day training program that will develop the skills necessary to not only lead a bar/restaurant, but to find ways to grow it. With your trainer, you will develop systems to allow for growth, understand payroll, P&L statements and examine their personal leadership style to motivate people. 60-Day Training program to train manager on food costing, inventory and ordering systems and other efficiencies to set the back of the house up for success. 90-day training program focusing on putting systems and processes in place for the Front of the House Manager to operate as efficiently and effectively as possible. The manager will develop a service map, communication platform up and down-chain and control systems. 60-day training program to discuss digital marketing platforms, how to create a marketing plan and set benchmarks for growth as well as strategies by which to reach those benchmarks. Staff training to create a step by step plan to deliver consistent service to every customer regardless of who serves them. Three hour strategic planning session to create a road map to grow the business. Workshop to discuss how to properly calculate costs with an emphasis on labor, food and pour cost. We will discuss the importance of costing and ways to impact costs. Overview of management and discuss how to motivate and get the best out of your team. Learn different digital platforms to help with time management, and develop your own personal time management strategy that suits you. Based on the book, "Never Eat Alone" by Keith Ferrazzi, you will discuss the importance of relationship marketing and how to not only nurture, but leverage your network. Learn basic personal financial strategies such as budgeting, saving, retirement and how to become debt free. We've all done mock interviews, but few have learned techniques to interview properly and ensure you the right people are in the right seats on the bus.